While AMC big projects including an adaptation of Joe Hill's NOS4A2 and the Walking Dead spinoff movies with Rick Grimes, the network has cancelled the martial arts epic Into the Badlands after three seasons. As Deadline reported, AMC announced that Into the Badlands would end after its forthcoming season, along with the western drama The Son, which stars Pierce Brosnan and will end after its second season. The second half of final season of Into the Badlands consists of eight episodes that will begin airing later this year. The cancellation wasn't a complete surprise, and the cast had already been released and many had have already moved on to other productions. Created by Alfred Gough and Miles Millar, Into the Badlands is a fantasy martial arts series set in a dystopian future. 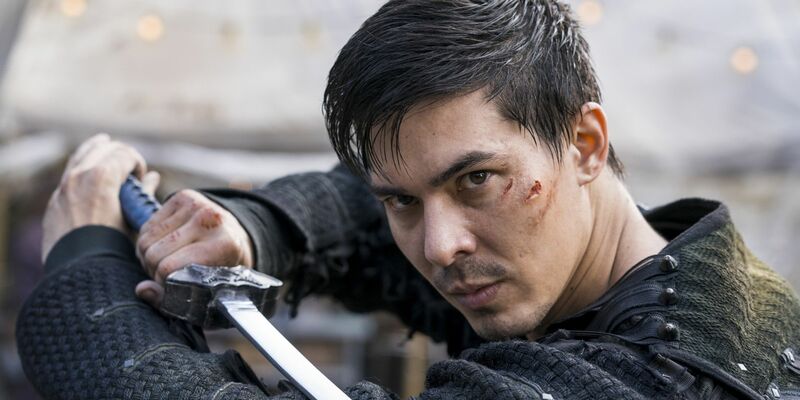 Danie Wu portrays trained assassin Sunny, who wanted to get out of the feudal society that was at war with one another but the only option was going into the Badlands where danger lurked everywhere. Nick Frost, one of the show's stars, tweeted about his disappointment with the end of the series. Into the Badlands returns for the final stretch on March 24, following an episode of The Walking Dead, and then moves into its normal Monday night time slot on March 25 for the duration of its run. Created by Alfred Gough and Miles Millar, Into the Badlands stars Daniel Wu, Aramis Knight, Emily Beecham, Nick Frost, Orla Brady, Ally Ioannides, Lorraine Toussaint, Sherman Augustus, Babou Ceesay, Ella-Rae Smith and Lewis Tan.